Hypnotism Power will respect your privacy when you give consent by subscribing to their mailing list. 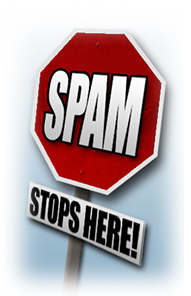 You will only be sent emails that is related to what you subscribed to and why you subscribed, abiding by anti-spam rules. You can unsubscribe whenever you want with a click of your mouse. You will easily see an unsubscribe link at the end of every email you receive from this website. Click on that link and you will see an unsubscribe page . Click on the button in the "Unsubscribed" column. We will immediately unsubscribe you! Our site uses an order/request form, from which we collect contact information and unique identifiers. Contact information from the order form is used to send orders and information about our company to our customers. Apart from our OptIn form to basically be in our data base for announcements of new releases, special events, offers and discounts, we also use service request forms to know what courses, seminars and workshops you are interested in so we may prepare for you with a quorum in place to deliver our services and products to you in an efficient and timely fashion. There is also a contact form and a Client Intake Form where clients seeking one-to-one Hypnotherapy sessions are to fill in prior to their bookings. It is fair to consider that whilst this site may contain links to other sites, you cannot hold us responsible for the privacy practices or the content of these web sites.